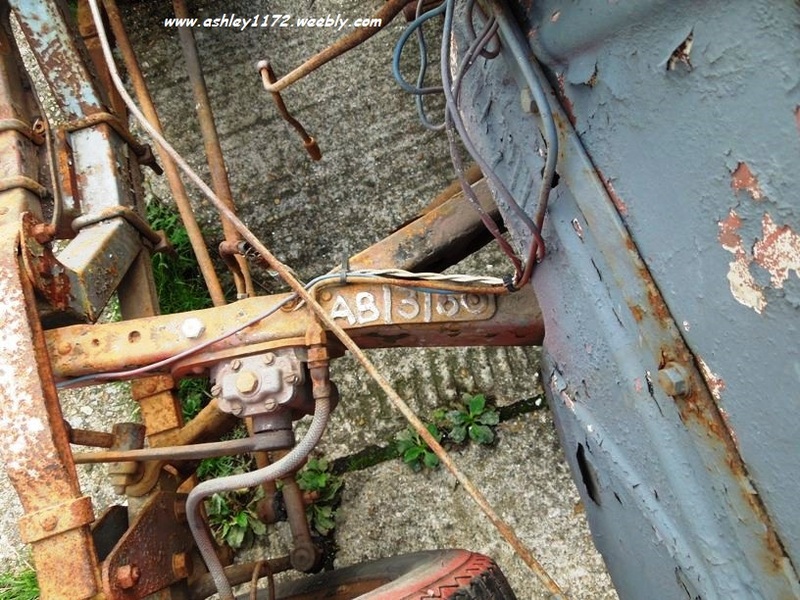 I came across this rather sad looking example of an Ashley 1172 whilst looking at some photo's on flickr.com so I sent a message to Roger the guy that had posted it in his photostream, asking a few questions about it and got this reply, this was in DECEMBER 2013. Thanks for your message via Flickr. 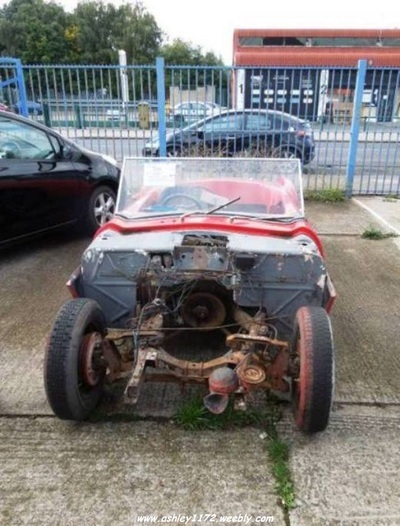 The car was located between Plumstead and Thamesmead in SE London, in a yard beside a road called Nathan Way. If you have Google Earth you should be able to vi﻿﻿ew the location usi﻿﻿ng the UK postcode.. I made a point of not putting any photos on a public site like Flickr, that could disclose the location or identity of the car, but now enclose some additional photographs which I hope you might find helpful. The above photo's are as supplied by Roger, his photostream can be viewed by clicking below. I decided to follow up with a phone call to the seller and see what he knew about the 1172.
so he decided to sell the remainder of the car to anyone that was interested. email from the new owner. I have just purchased an Ashley from S.E. London it's been sitting around for 20 years, hopefully I will be able to retain its reg, it has no engine or front but is just about to get a hot 1172 motor. I see that one of your guys bought some Ashley parts from Shropshire and one has the wrong front, would he consider selling me the early front? 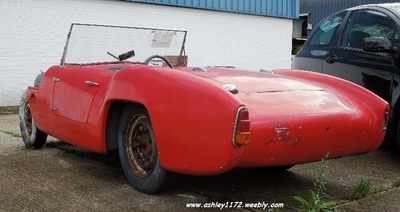 My car is a 1959 Ashley 1172 open top on a Ford chassis, split beam front, alloy wheels, spacers and a remote gear lever, we intend to hillclimb the car in the future any help would be gratefully received. I managed to locate a couple of possible fronts and past on the contact details for him to follow up. I believe the Ashley has had a Rego No. in it's past and Terry is trying to reuse this on the restored model. It's now ﻿November 2014﻿, I have not heard back recently so I'm not sure how it is all going so far, but will update this page as soon as I do.